Many of us have side jobs that we do to earn a little extra money, or to occupy our time over summer. One of the side jobs that I have is tutoring. I love to work with students of all different ages, and I really enjoy working with them on topics that they need the extra focus in. Since I previously taught math, most of the students that I tutor are struggling in math. 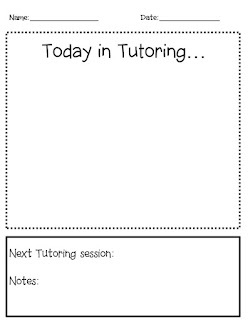 Communication is key when working with students, which is why I created this "Today in Tutoring" freebie that you can grab in my store. 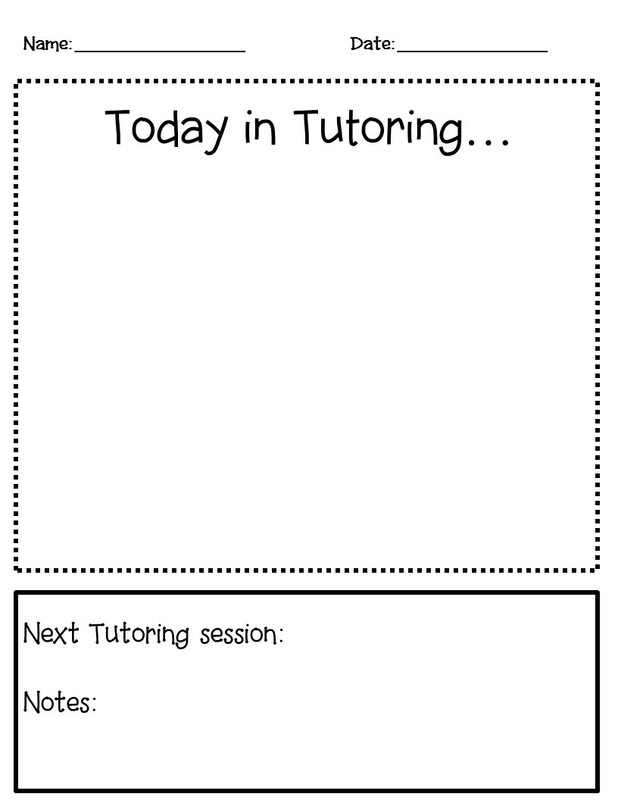 This is basically just a simple paper that you can send home with your tutor kids that tells parents what you did in tutoring that day and to remind them of when he next tutoring session is. If you tutor older kids, you could have them fill this out at the end of the session to review everything that they covered. What a great idea! This will help keep the conversation going and give them tangible things to work on for the next session. Great idea! Thanks for sharing, Hillary!